BTW, for the 5 ingredients, I did not include the spices! 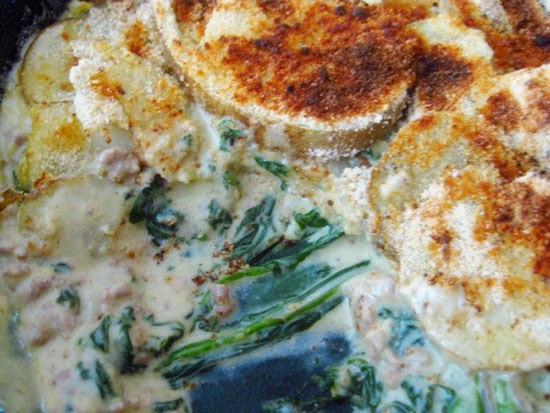 This easy casserole recipe was a result of a failed plan to make gratin. Unfortunately I didn't have enough spinach or potato to build a good "gratin" foundation, so instead I improvised and created a simpler casserole instead. Luckily, it came out delicious. My younger brother who is quite the fussy eater enjoyed it so much that he kept looking for it again the rest of the night haha. I will definitely be making this comfort meal all throughout Autumn maybe even Thanksgiving! Not pictured above, is the ground beef I decided to add last minute for its flavor, but also for more substance. Prepare a pot of boiling water. 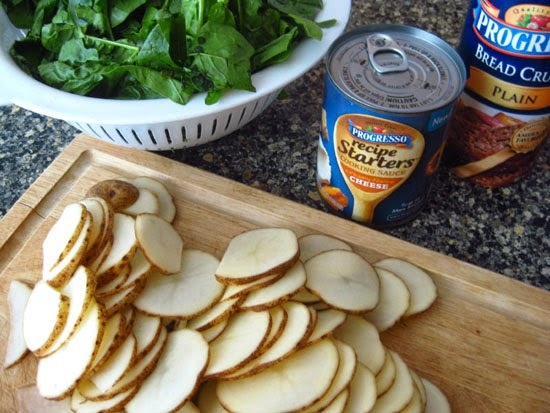 Add sliced potatoes and allow to slightly cook (8-10 minutes). Drain and set aside. Preheat oven to broil setting 400 degrees F. Use 2nd rack from the top. In a deep skillet, saute ground beef until brown. Add cumin and season with some salt and pepper. Add spinach and 3 cheese sauce. 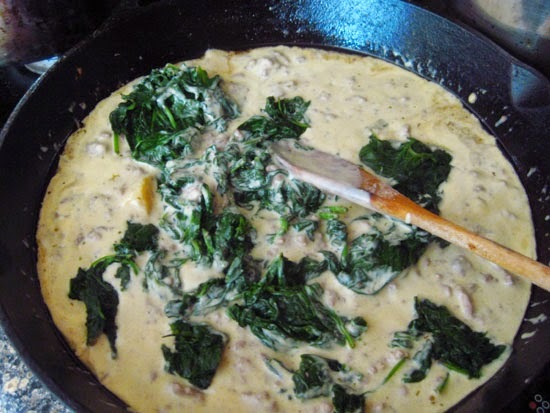 Stir occasionally until spinach is fully wilted and cooked. Add cinnamon and thyme. Turn off heat. Continue to stir and be sure to evenly distribute ingredients through out pan. Layer slices of potato on top. Drizzle some extra virgin olive oil. 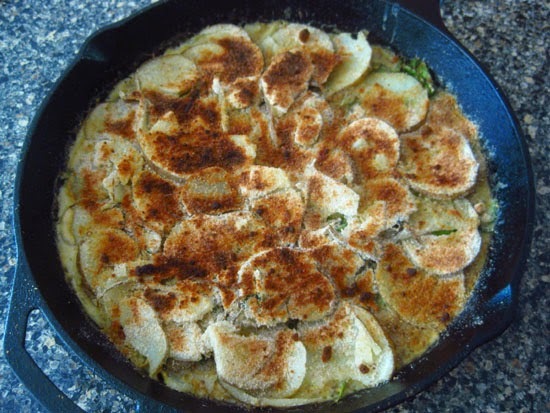 Sprinkle bread crumbs evenly over potatoes. Follow up with sprinkle of parmesan cheese. Drizzle a little bit more olive on top top. Place skillet in oven and broil until top is golden brown.